I am addicted to Truffle Oil. There I said it. I like it on everything- grilled cheese, popcorn, eggs, pasta, you name it and it tastes better with truffle oil drizzled over it. I do prefer white truffle oil to black truffle oil. Don't know why but I do. 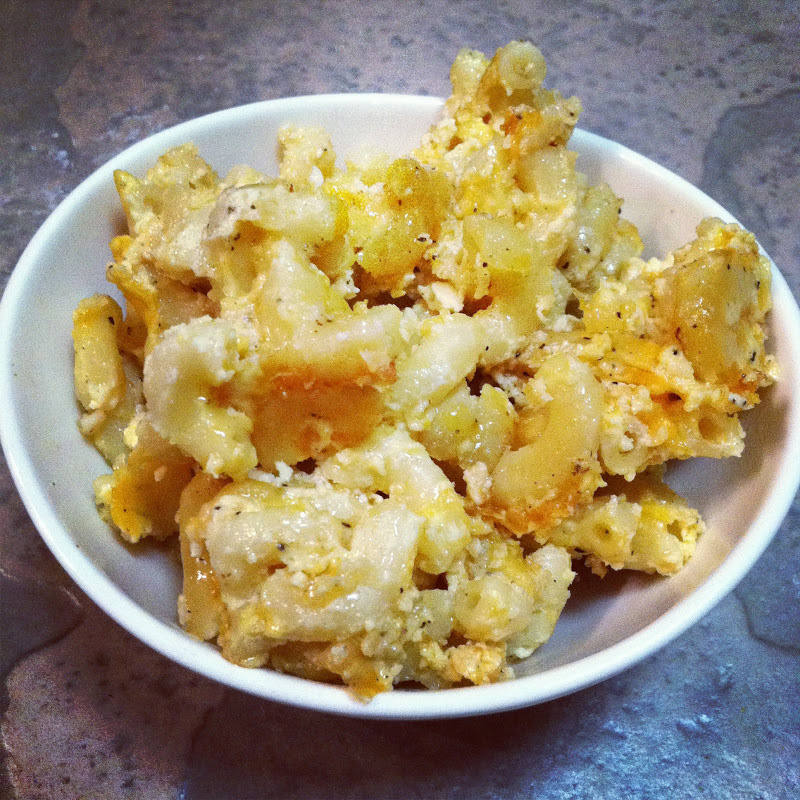 Mac and Cheese is the perfect vehicle for Truffle Oil. This dish will knock your socks off. Freaking Amazing. Matt said and I quote "This is the best mac and cheese you have ever made." The original mac and cheese is a family favorite that my mom always made and we grew up eating. I made a few changes to it, mainly added a few different cheeses and truffle oil. Think old school mac and cheese. But cheesier, gooier, and with more flavor. You could easily use any cheeses you like but these 3 work really well together. We served ours with boiled Lobster Tails. The kind of meal dreams are made of. 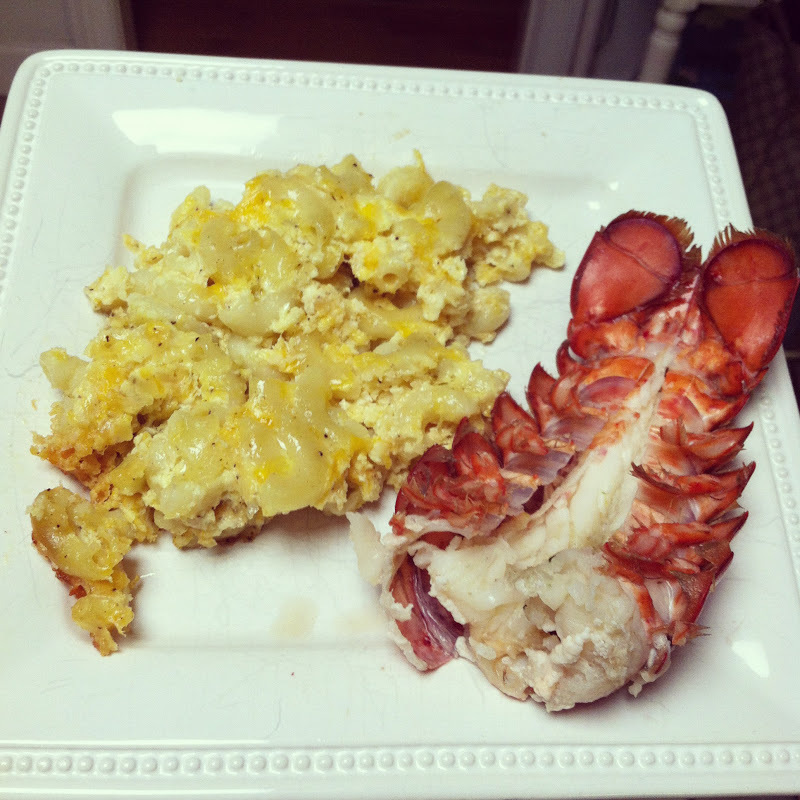 Truffke Oil + Mac and Cheese + Lobster, you can't find a better combo. Drain and Rinse Macaroni. Immediately after draining toss the noodles with a generous amount of truffle oil (approx 3-4 tablespoons) and set aside. Blend cottage cheese, sour cream. egg, salt, and 3 cheeses. Stir in macaroni. Spoon into lightly greased baking dish. Drizzle top with more Truffle oil. Bake at 350 degrees 30-40 minutes or until bubbly. NAT!!!!! I am supposed to be dieting. What are you doing to me here?! Now I am going to have to make this, you realize? LOVE truffle oil! I put it on so many meals my husband asks if I just plan our meals around it! Will definitely be trying this mac and cheese! I hope you pinned this!! FOR THE LOVE OF CHEESES!!!! I am so obsessed with macaroni and cheese. This will be on my must make list asap! 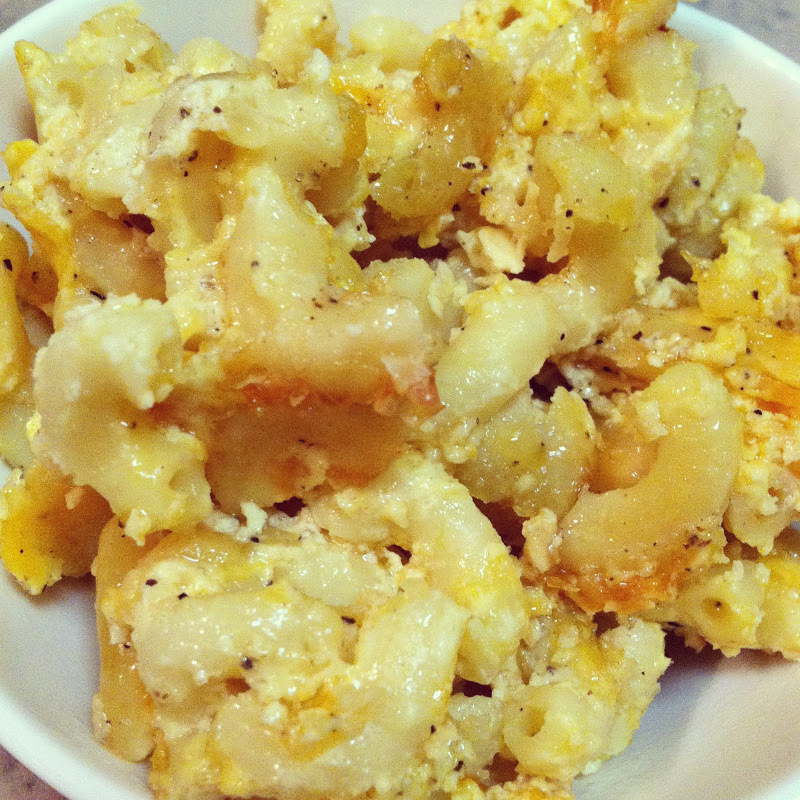 Truffle mac n cheese is like the bomb of all bombs. So ridiculously good. There's a place in Mt P that serves the best with bacon in it too. Gaaaaah. Ok, definitely going to have to cave and buy some truffle oil. Especially after all of these truffle oil inspired recipes you've been posting. One question - what is cream style cottage cheese? Looks insane! Can't wait to try this! I love truffle oil too. YUMMY. Need to make this recipes. I am so obsessed with truffle oil too. Just looks delicious! I like the way you think! I love truffle oil too. Have never tried it on eggs though! What brand truffle oil do you recommend? I've been wanting to try this every since I saw Ina Garten make it! I think she used truffle butter. It's a little less expensive than the oil. I need to buy both! I hope you know that thanks to you and your truffled tator tots I'm officially addicted too! The good news is that a little goes a long way so it's not too expensive. I definitely need to try this mac. Oh my God. My husband would love this. Writing it down! Looks delish, as usual! I make a mac and cheese recipe that is almost identical but I still haven't gotten around to trying truffle oil...but it's on my list!! annnnd my dinner now looks disgusting compared to this. i love mac and cheese and i love truffle oil so this looks incredible! Do you think I would like truffle oil if I don't like mushrooms? Curious!